No signal from Reliance Digital TV. Their transponders all seems to be turned off. Signal is coming normally for Sun Direct transponders from the same Measat. Update: Found Aditya bro telling about loss of signal. So it is now confirmed. It is told that Antrix a division of ISRO has stopped it due to non payment of dues. 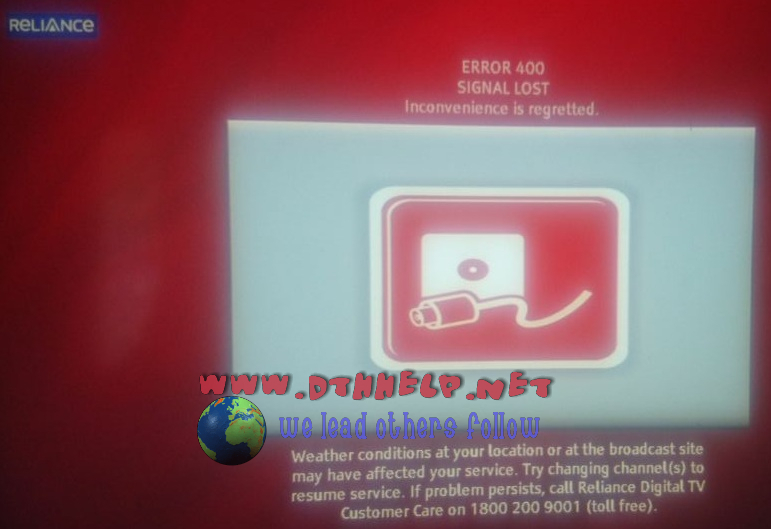 i got the Reliance digital tv’s good signals on 19th april 2018 but it shows Error Type (2). any one have Reliance digital tv nodal officer’s number ?? can we get new set top box or not.we all go for consumer court .big cheat ..Rbig tv. No signal on Reliance Digital TV yet. Unless they start their transmission there is no chance of a set top box and even if given it is of no use. So this the end of BIG TV??? Hi, how to tackle this issue. For me also, no signal since last Sunday morning. How do we get back our money paid in advance. How many days we have to wait. This is cheating by Reliance.